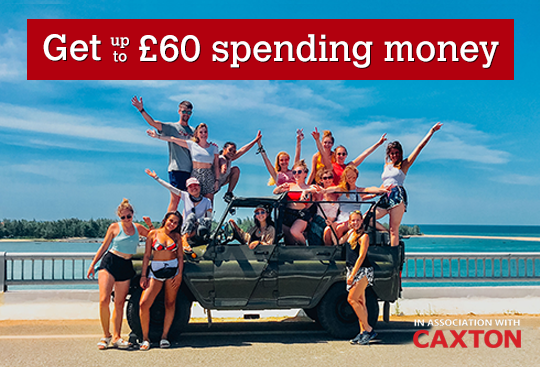 We’ve teamed up with our friends at Caxton, the currency card experts, to give our customers up to £60 extra spending money for their trip! To be eligible all you’ve got to do is book a trip with Real Gap Experience between 18th October - 14th November 2018. Once your trip space has been confirmed you’ll receive a link to set up your personal Caxton currency card. When your account is registered, we’ll credit your Caxton account with a complimentary top up and you can get spending! Your Caxton card can be used all over the world. With no overseas ATM fees and 0% commission, it’s a cheaper and safer way to spend money abroad compared to a normal debit or credit card.